I mentioned Gabe had to work in Belgium a lot. And I didn’t understand some of his comments about it. 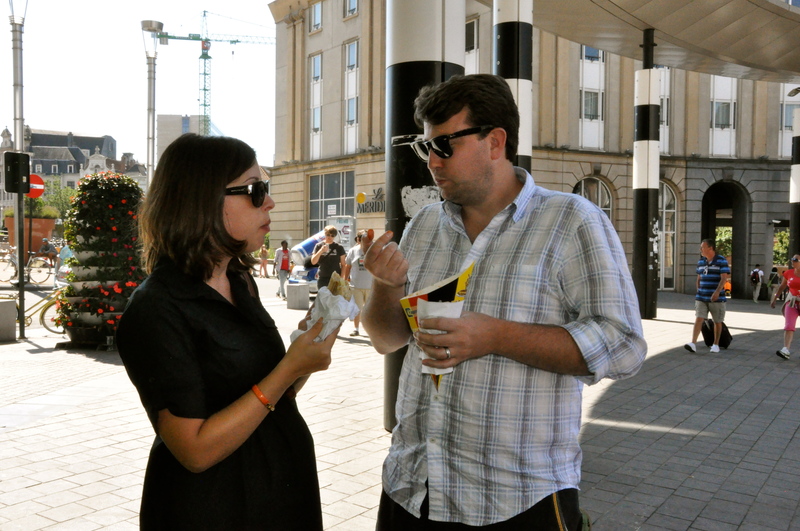 He would literally tire of fries (called frites in Europe). “They come with EVERYTHING,” he would emphatically say after his weeks there, “sandwiches, main dishes, even omelets! !” How could someone get tired of fries? Well, I made it my mission in Belgium. 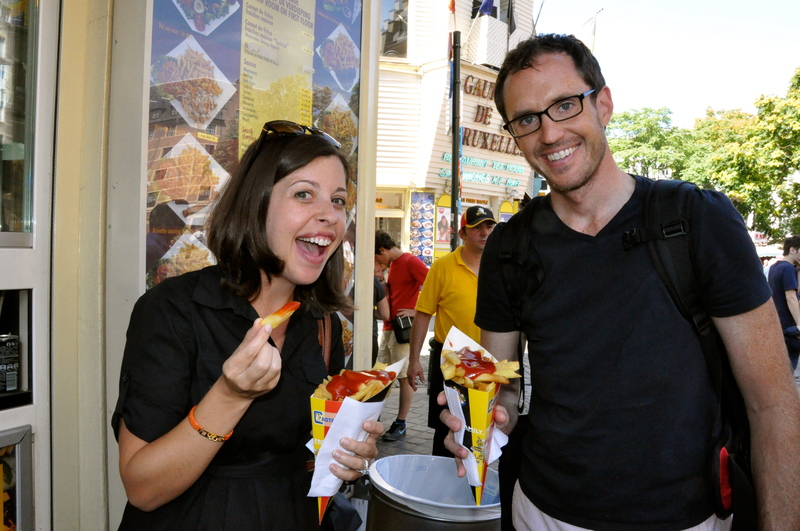 It wasn’t 5 minutes into our arrival that we were at a fry stand, ready to try. Cones of fries. Ketchup is not common but whatevs. Fries at the train station. Fries at the little sandwich joint. They most typically come with mayo here. Nasty. I went back and got Andalouse sauce which was recommended. Just okay in my book. I like my ketchup. During our dinner at Flemish pot, the waiter came by with an enormous bowl and flung the onto our plates. They were apparently unlimited. Why so many fries, you ask?? 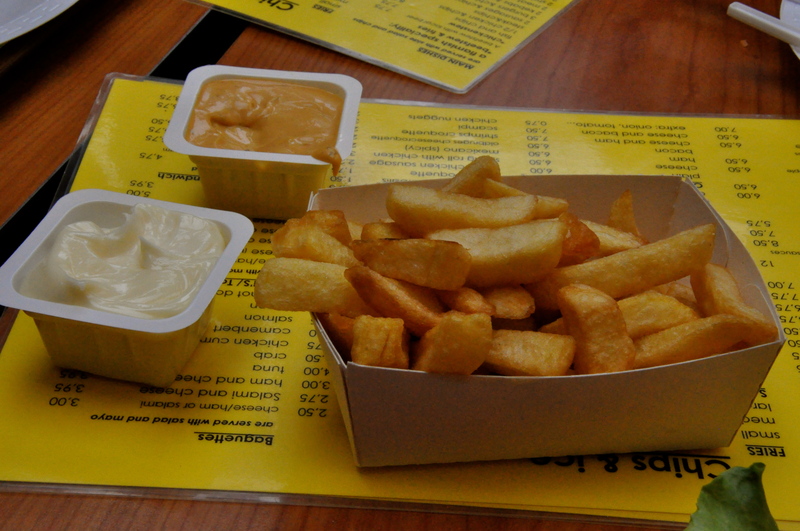 And yes, all of us did get sick of fries during our three days in Belgium!